Friday night was the grand opening gala at the Armory Arts, where I currently live and do crafty things. All of the tenants are artists, which is cool because it’s inspiring being surrounded by creative people. 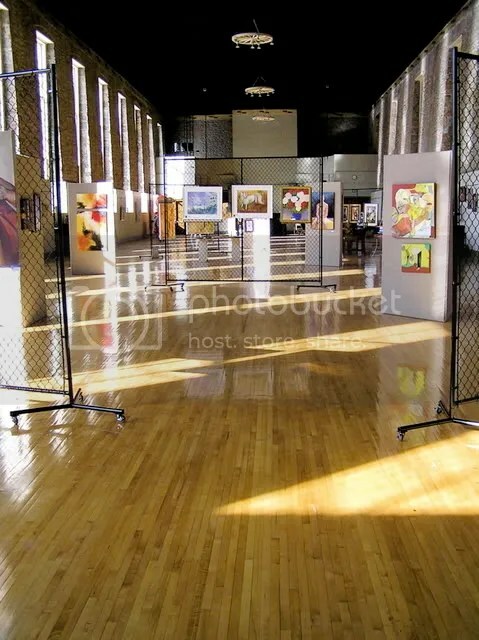 The armory itself is the old Jackson prison, which was newly renovated and updated into brand new modern apartments and galleries. About 500 people came to the gala. We had a couple politicians come and speak, along with the Detroit Pistons drum-line, and a cool tap group from Detroit perform throughout the evening. I had the privilege of helping the armory’s curator, Jane, hang most of the pieces in the main gallery on Tuesday. I have always sort of wanted to work in an art museum (not full time though! ), so its cool to have one downstairs from my apartment. 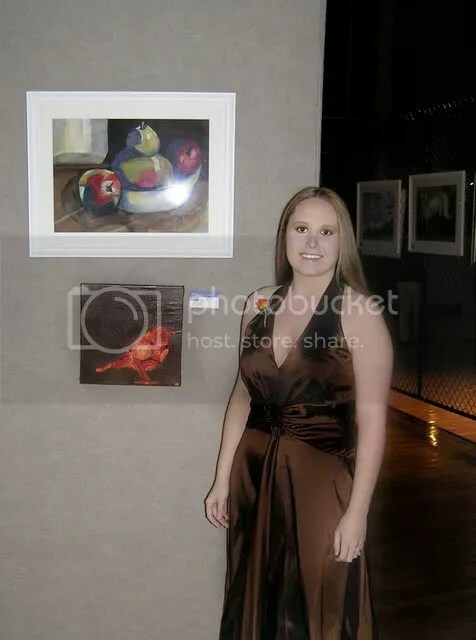 I had 4 paintings hanging in the gallery, along with a few of my photographs. 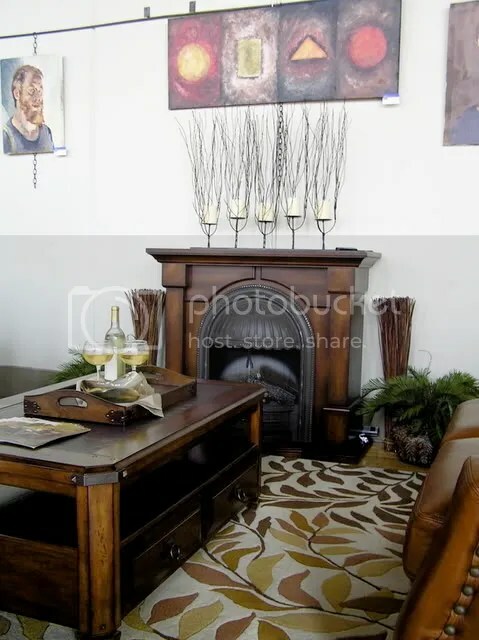 Art Van also brought in some furniture to set up a VIP Lounge area in the main gallery. I had to try the sofas out the day before the gala…they were so comfy! Fellow Etsy-an, Clairigami, also lives at the Armory, and had a very cool display room of her 3-D paper sculptures. Some of the artists opened up their apartments so people could tour through them. I went and visited 8 open apartments, and each one was so uniquely decorated. Some people had their studios open so you could see work in progress. 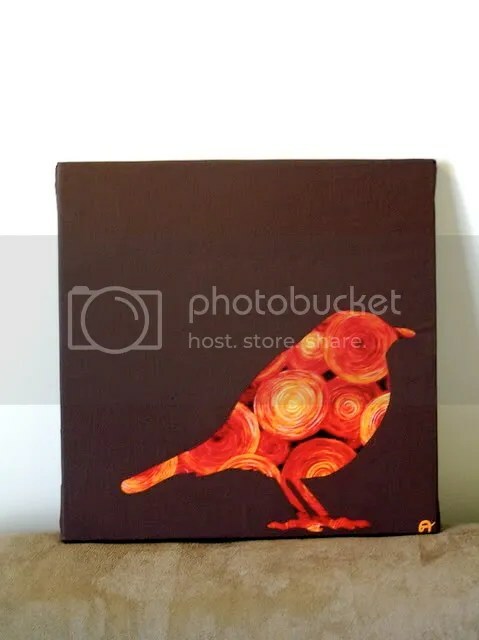 I had made a new bird painting specially for the gala, and I was excited I would get to put it on Etsy afterward… about halfway through the evening, I found out a couple wanted to buy my firebird painting! I met and chatted with the couple in the gallery and sold it on the spot. I plan on doing some more like it soon! Stay tuned for my Sampler Favorites!